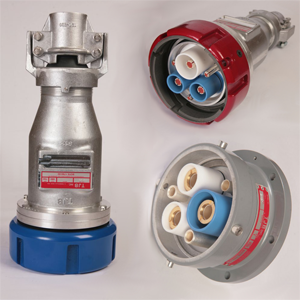 Created as a result of high customer demand and not restricted by the need to mate with any existing product, we took all the best features of our high-voltage couplers and added a few new ones to make the couplers even better. We offer LVNT couplers in 480V, 1KV, 3KV, and 5KV versions. Variations in the housings prevent different voltage ratings from interconnecting and protective epoxy paint is color coded to make voltage identification easy. 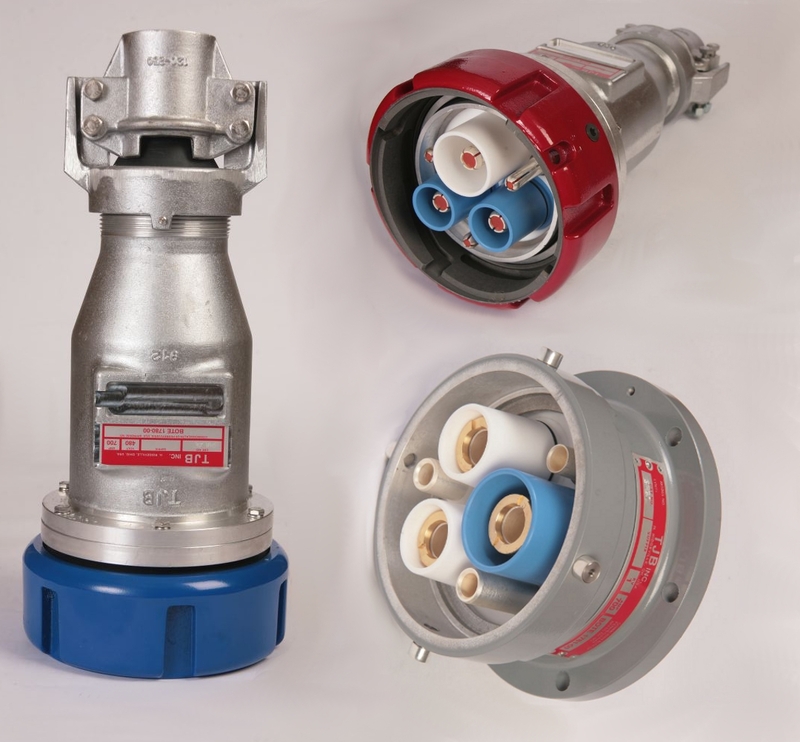 Our LVNT couplers are built with a more compact housing than our HV couplers while still utilizing the same no-thread design and maintaining a 700amp rating for cable sized up to 500MCM. 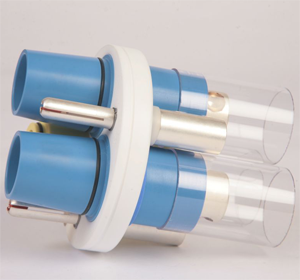 SOLID PTFE INSULATORS- All TJB LVNT couplers use 100% virgin molded PTFE for the insulating tubes and insulator plate. 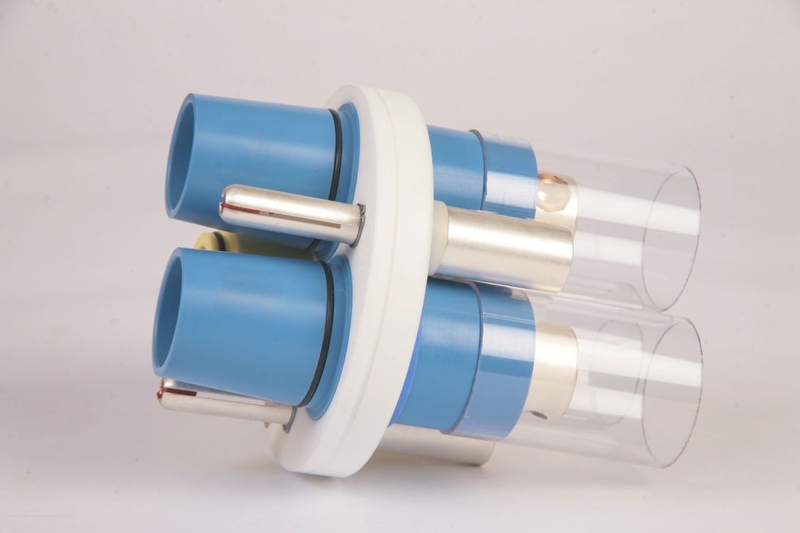 There are several advantages to using an all PTFE assembly. Firstly the hydrophobic properties of PTFE and its nonstick qualities make it very easy to clean and keep dry. Since contamination is the most likely cause of a failure in a coupler, maintaining a clean and dry surface is paramount. 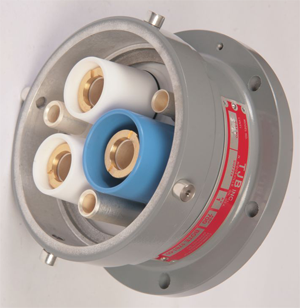 Another advantage of using PTFE for the insulator plate is the melting point of PTFE is over 600F, meaning even under excessive loads the structural integrity of the insulator is maintained. 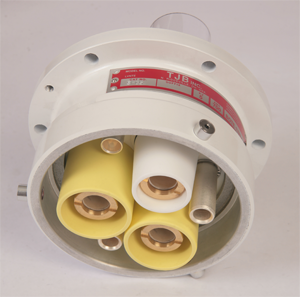 PTFE is also chemically inert so operation in acidic mines will not degrade the couplers insulation. 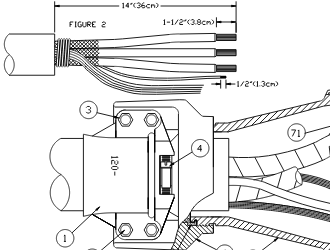 NO THREAD CONNECTION- No thread connectors are by far the fastest and most durable coupler connection type. 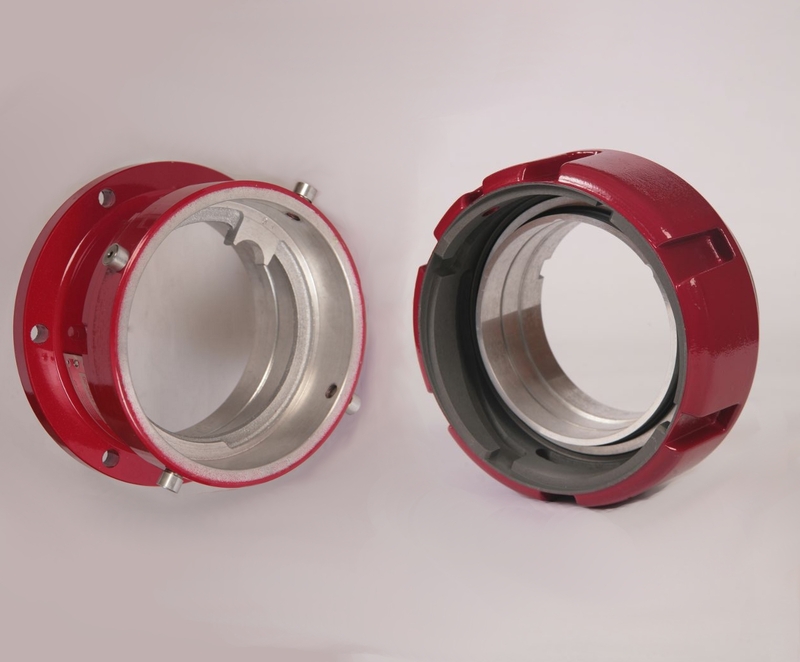 They allow for a set of couplers to be connected with less than 90 degrees of rotation and detents at the end, both actively confirm connection and prevent loosening from incidental movement or vibration. 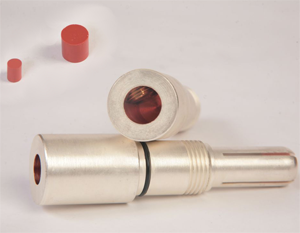 The no thread connectors are self-cleaning and sleeve and pin design acts as a roller reducing coupling effort and reducing wear. SET SCREW CONTACTS- Set screw contacts reduce the installation time of couplers and the tools needed for the installation. 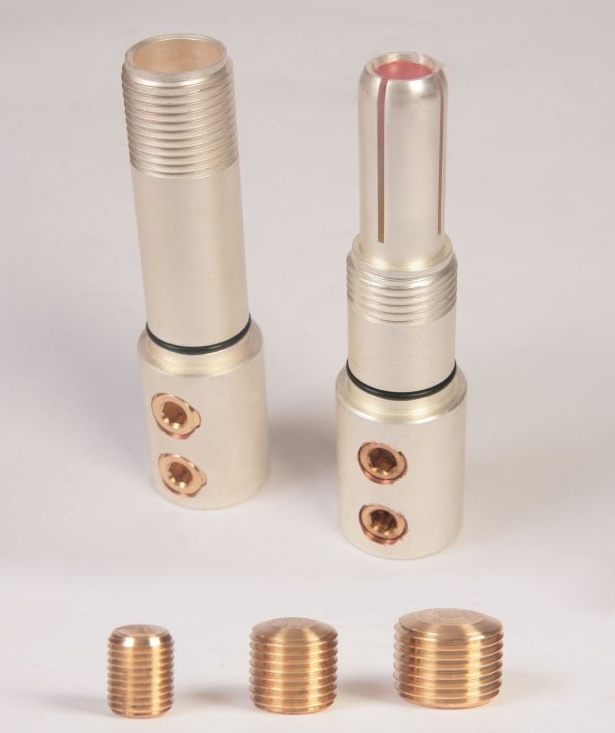 All TJB set screw contacts have two solid bronze set screws with a thread pitch designed to maximize contact pressure, increasing conductivity. Contacts are drilled to match the cable being used and the set screws are also sized based on the cable, guaranteeing proper clamping. Solder-less set screw design includes all phase, ground and ground check contacts. 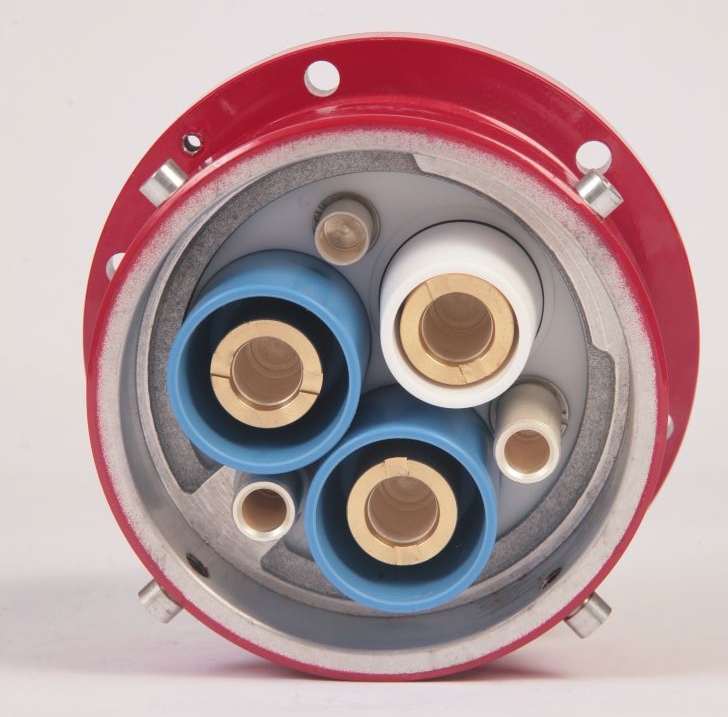 700 AMP CONTINUOUS DUTY CONTACTS- In large cable high amp operating conditions cable couplers are at risk of being the weak link, to ensure that is not the case with TJB couplers all LVNT contacts are rated for 700 amps and have been tested even higher. 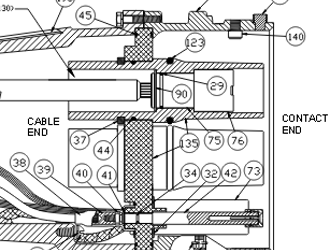 TJB was the first to introduce the split male contact design for use in couplers, preventing the contacts from jamming and allowing the elimination of failure prone multilam bands. To guarantee reliable operation male contacts use another TJB innovation, a button that expands when heated to increase the contact pressure under heavy loads. 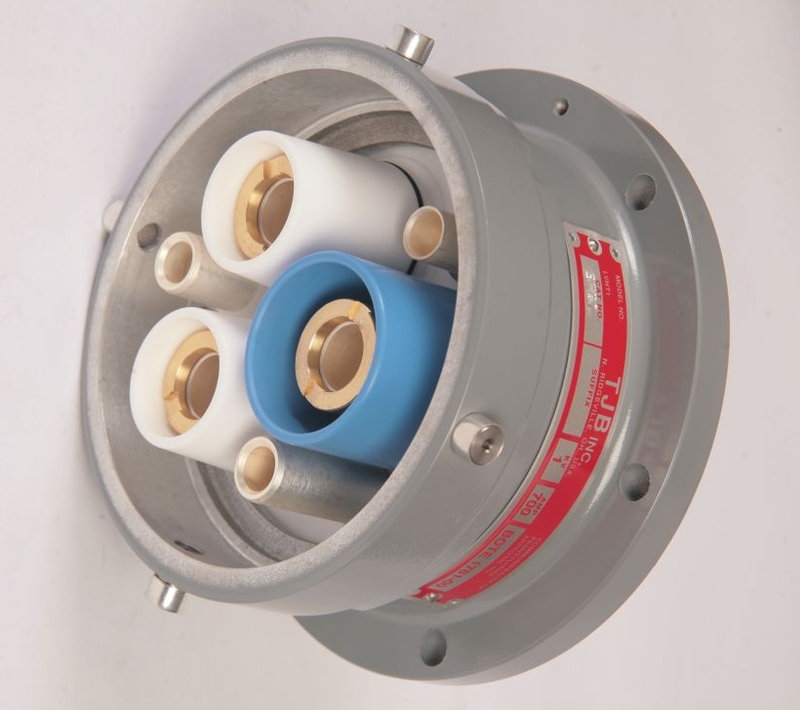 480V- Capable of handling higher voltages but designed to prevent connection with higher voltage lines, TJB 480V couplers feature a 3 pin design and keyed insulator that prevents couplers from mating with dissimilar voltage rated couplers. A blue epoxy coating is applied for identification. 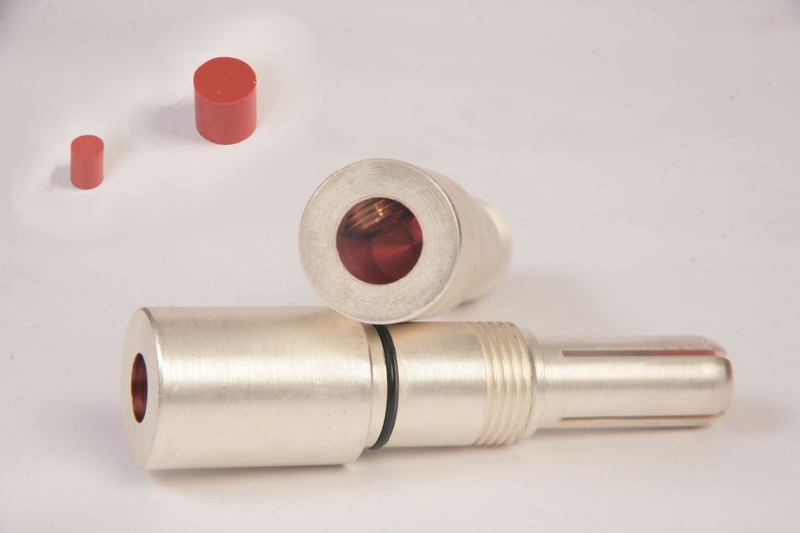 1KV- Coated in grey epoxy and utilizing a 4 pin design TJB 1KV couplers include the same keyed insulator that prevents the connection of mismatched voltages. 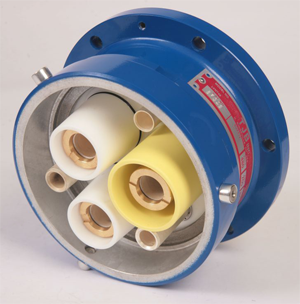 3KV- Similar to the 480V and 1KV, 3KV couplers provide more backend insulation to increase the air gap between phases. 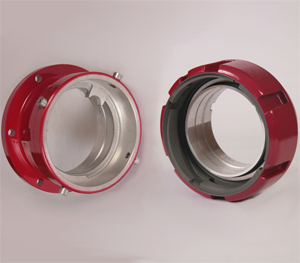 The housing is covered with a red epoxy that both protects the aluminum from corrosion and helps with identification. The housing has 4 pins like the 1KV but the differences in insulators prevent them from mating. 5KV- Using a white housing with three pins 5KV couplers have a compounded backend to completely seal the conductors in insulating material. SQUARE PLUG REPLACMENT- Square plugs have long been an industry staple for low voltage applications,but as regulations have tightened and safety has become more important the lower up front cost of the more fragile square plugs is not enough to maintain an advantage in total cost of ownership over TJB couplers. 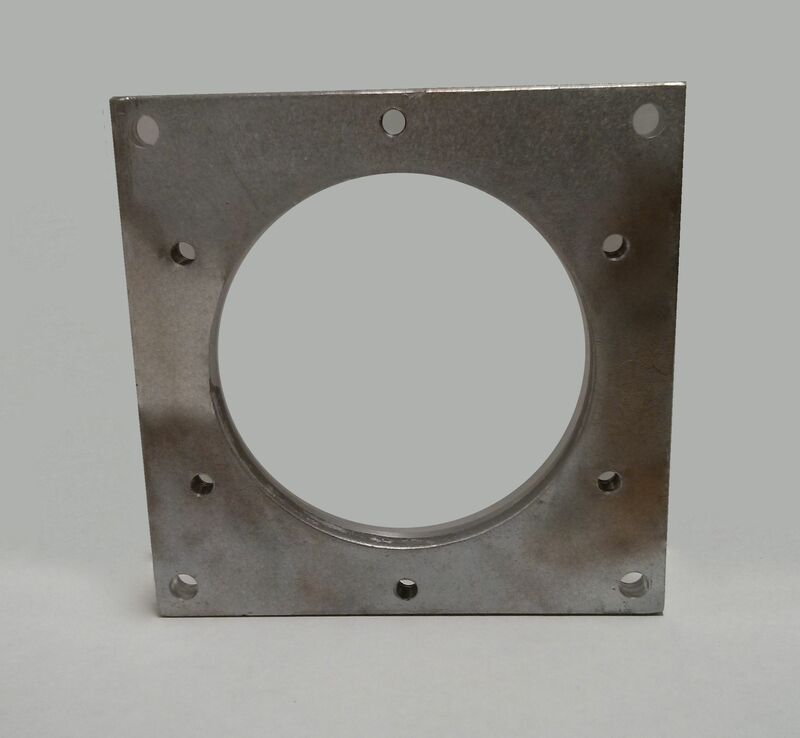 To ease the transition, TJB has developed adapter plates that will allow TJB couplers to be installed on existing square plug cutouts. Adapters include the required hardware and can be ordered on couplers or as individual parts. A = Now Standard On All Line Mount Couplers, Not Used For Gear Mount Couplers. B = Removes Square Adapter Plate That Is Only Needed When Replacing a Square Plug.